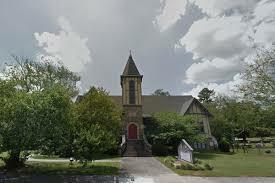 PHCA, Piedmont Heights residents, and neighbors are invited to attend our monthly PHCA this evening April 11th, 2017, at 7:00PM at Fellowship Hall at the Rock Spring Presbyterian Church. Residents will be able to view the final plans for Hedgewood Homes’s request to change zoning from R-4 to PD-H zoning to build 17 homes (Z-16-079, 1824 Piedmont Road, NE.) Only PHCA Board members can vote on the meeting on April 11, but residents, home owners, and business owners can vote at the NPU-F meeting at Hillside Center, 1301 Monroe Drive, at 7 pm on Monday, April 17. #2- Modera Morningside Apartments ( Mill Creek) Mill Creek Construction has proposed a request for parking reduction for a new restaurant at Modera Morningside Apartments, 1845 Piedmont Road (V-16-322).